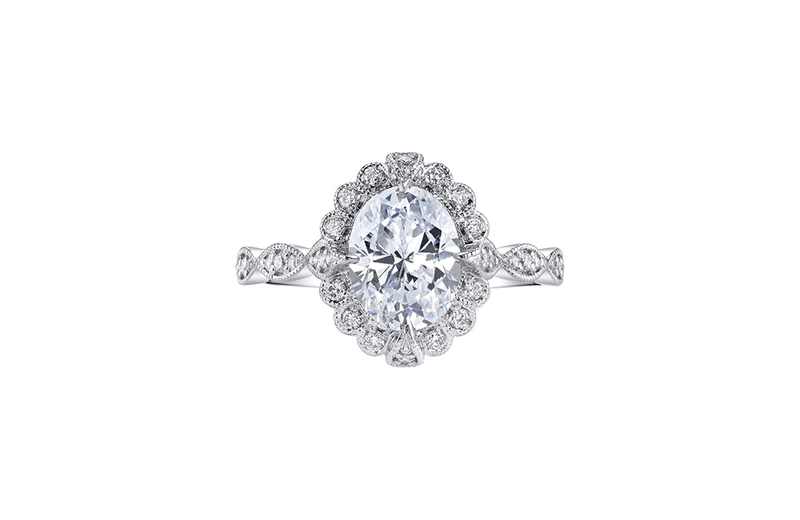 This exquisitely detailed ring features a central diamond encircled by a scalloped pavé halo. Four pavé-accented teardrop prongs hold the central stone on the compass points. 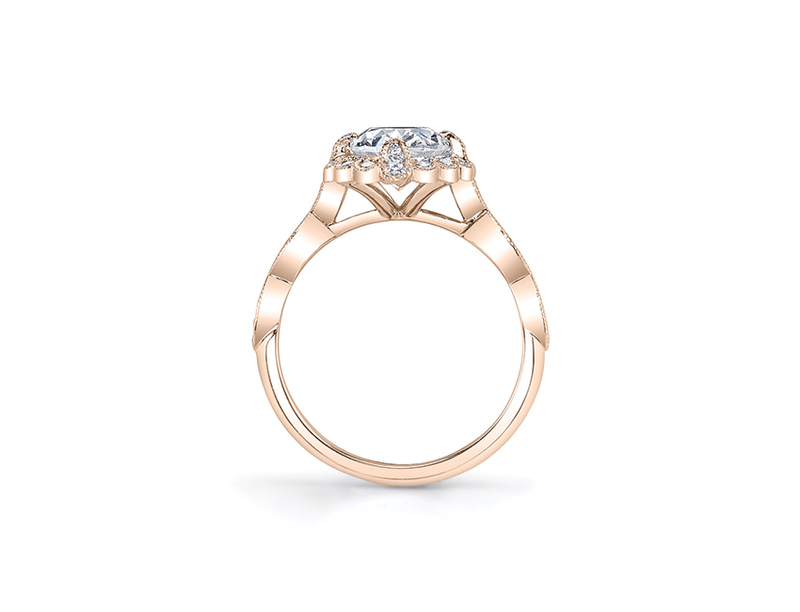 Pavéd marquise shaped stations compose a uniquely light and ethereal band, further accentuated by a fine milgrain detail throughout. 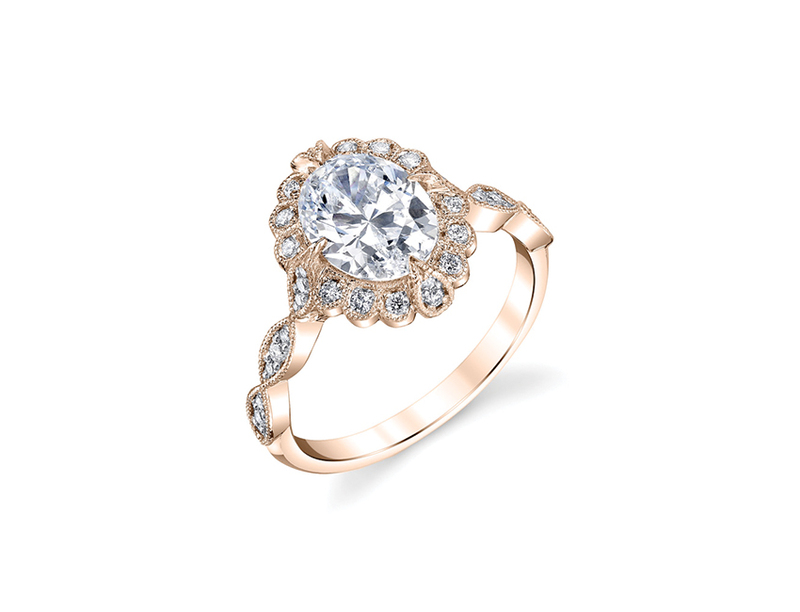 This ring will sit flush alongside a wedding band.